For the 4th year in a row, the Northeast saw a concentration of High Outbound activity. 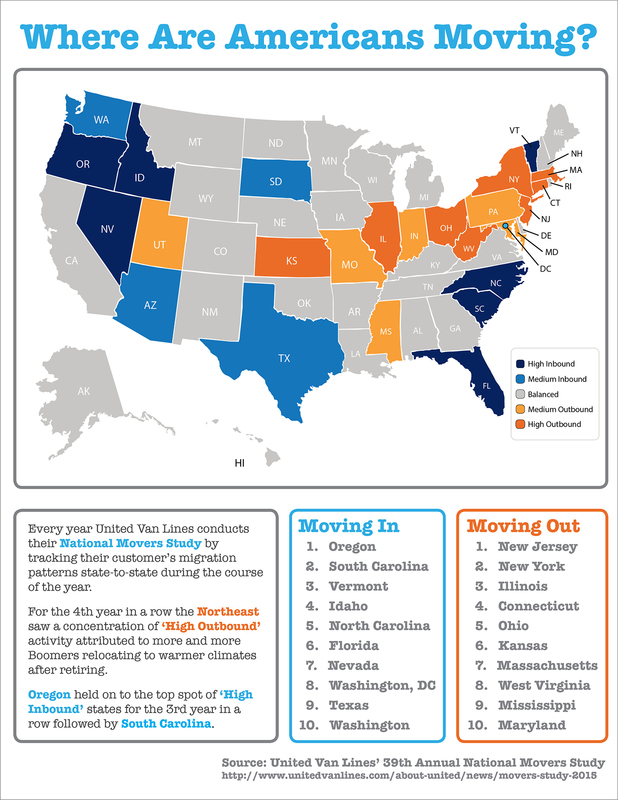 Oregon held on to the top stop of High Inbound states for the 3rd year in a row. Much of this Outbound activity can be attributed to Boomers relocating to warmer climates after retiring.